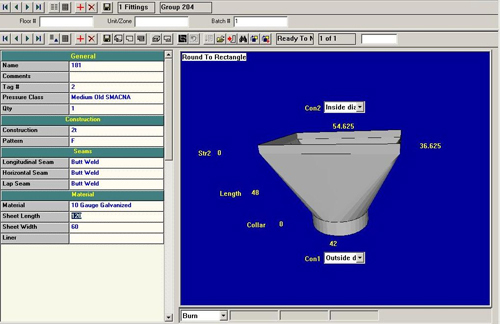 A customer in the metal recycling industry needed a company with the special capabilities to fabricate the cones, elbows, and transitions shown here. The components were composed of aluminum, carbon and stainless steel, in raw material sizes up to ½" by 10' rolls. The size and thickness required the use of our 350 ton CNC brake press. Accurately fabricating heavy gauge materials of this size and shape requires advanced knowledge of string geometry forming techniques. Our abilities in this area allowed us to fabricate all of the components while maintaining tolerances of ±1/8". In addition, we also provided finishes such as painting and galvanizing. While this customer supplied us with CAD drawings for this project, we have the capabilities to form parts from a template or even using another part as our guide. 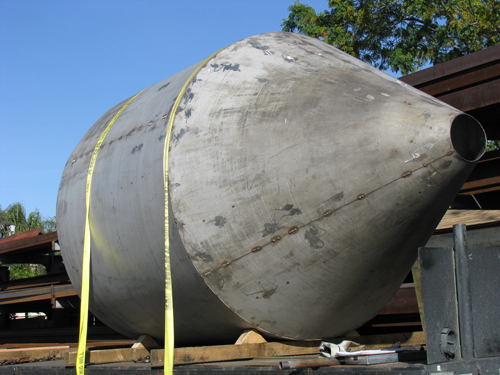 We specialize in rapid turnaround times, excellent quality, and competitive pricing. For further details about our custom formed products layout and fabrication services, or our many other customer-centric capabilities, contact Advantage Metal Services. Custom Formed Product Fabrication Project Cones, Elbows, and Transitions. 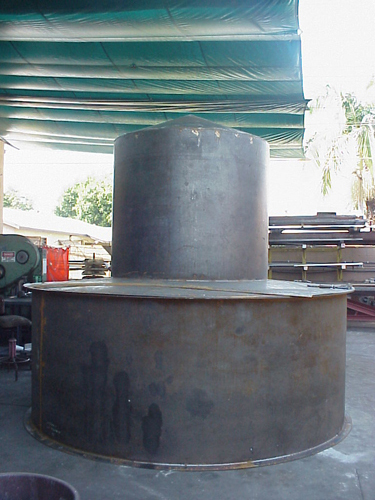 We can layout and fabricate numerous different styles of the three above mentioned. Material Used Stainless, Carbon, Aluminum.